If you've never been to New York City, much less to Brooklyn, perhaps you should consider booking a trip. NYC is the most AMAZING place in the world & even though I don't venture into Brooklyn much, I know there are some great hang-out spots there. There are several hotels to room in while you're your vacationing here. 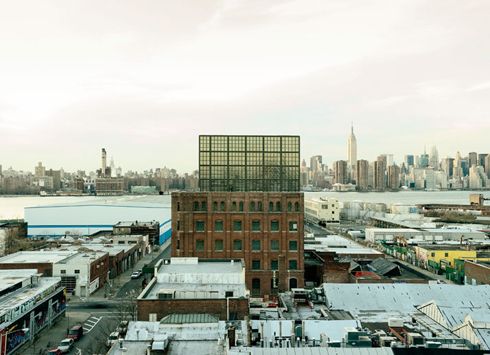 In fact, one of those hotels is the Wythe Hotel. 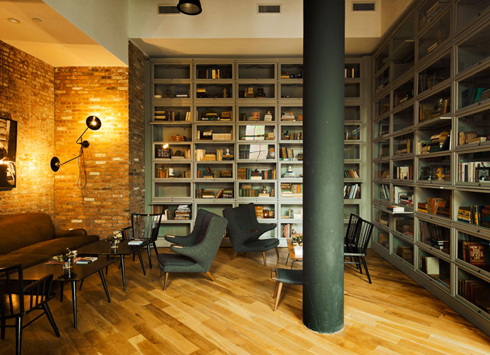 This Brooklyn spot is so cool. 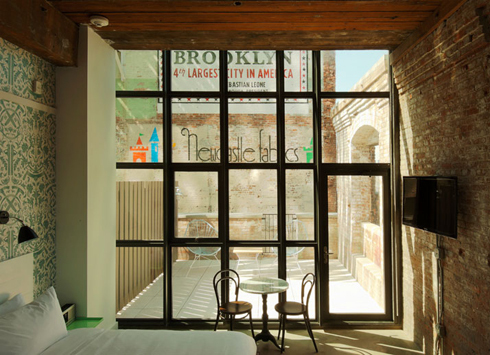 This hotel used to bean old factory on the Brooklyn waterfront built in 1901. It has now been renovated to feel like a welcoming & gorgeous place to sleep, dine and have drinks! I'm so tempted to just stop by for dinner one night! Isn't it lovely?? 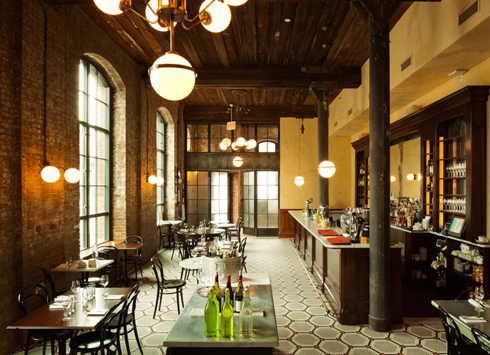 Have any of you been to the Wythe Hotel yet?? Amazing! Love the old world Euro look. Wow! As familiar as I am with NYC, I'm shocked that I've never seen or heard of that hotel. Gorgeous structure and decor! Love the bricks and the industrial look of it all!! Great post! 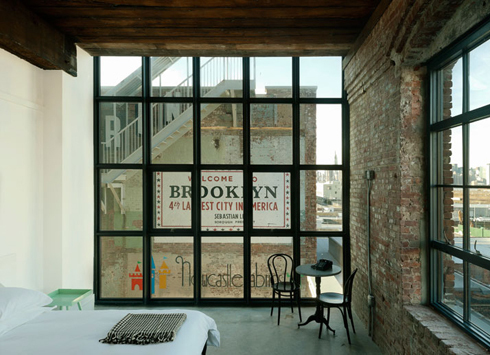 My friends and I want to stay in Brooklyn during our next trip to NYC so we'll have to check it out. Wow that hotel looks stunning! I haven't stayed there but I would sure LOVE to! Thanks for sharing! I really like the industrial feel of it! Love the design. It looks like a vintage hotel. Amazing! 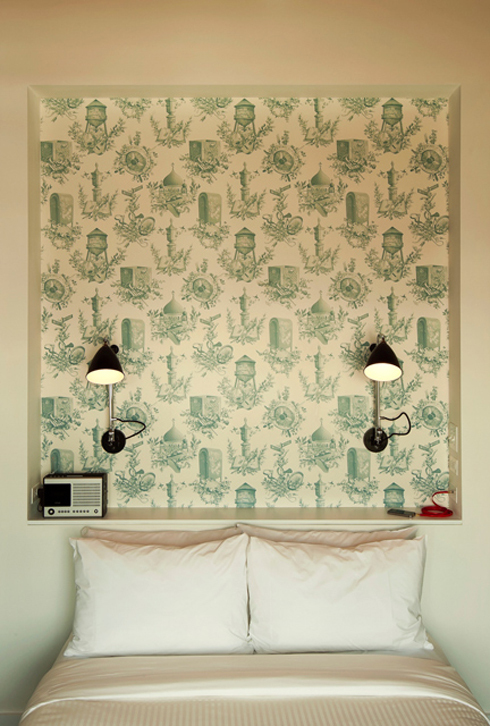 How cool is that wallpaper in the bedroom??! I live about 45 minutes away and my husband and I always find something new to discover! I just moved to New York a few months ago and I'm obsessed. I live in Queens, so Brooklyn is only a quick taxi ride away. 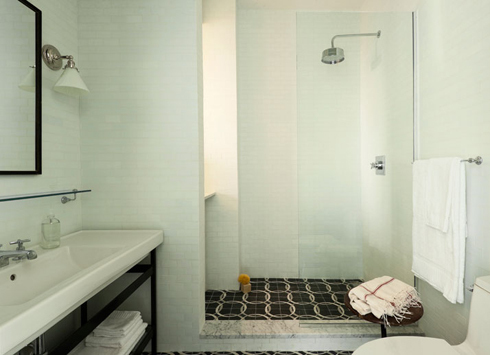 This hotel seems so cool--would even be fun for a quick staycation! 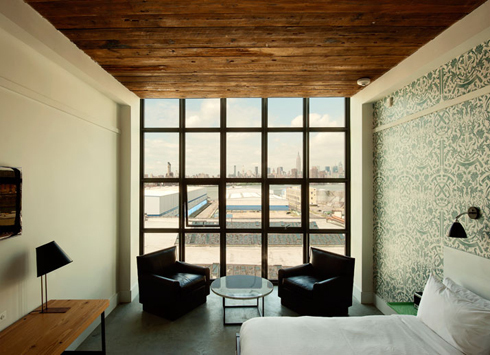 gorgeous hotel ... love how the industrial vibe mixes with the classic mid century modern pieces. I have never been to this hotel. I love the huge windows! This hotel is right up my alley. 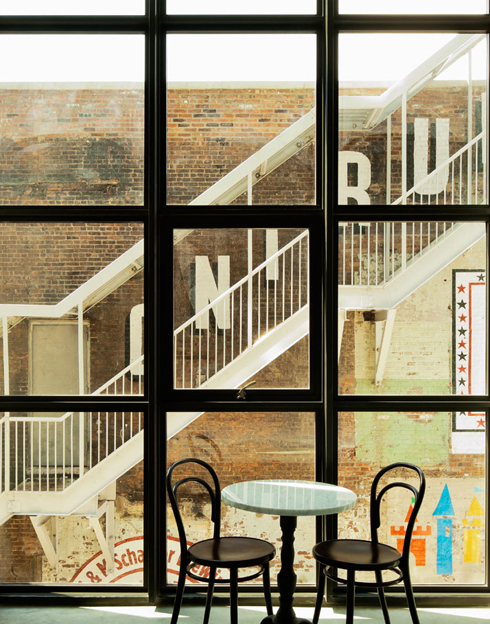 I love the exposed brick and modern details. Would love to stay there one day! A cubby above the bed!!!! By far the most elementary yet innovative interiors perk ever. I've always said I want some type of cubby or something beyond the nightstand, haha. Love it. 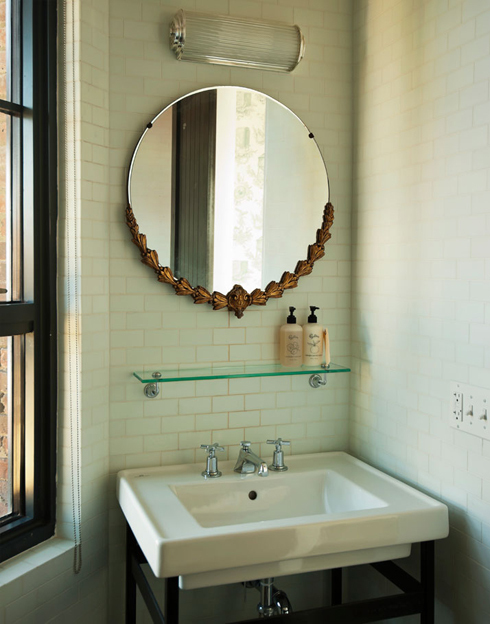 I was just reading about the Wythe in May's Elle Decor - there was a great feature on Brooklyn in there. I also learned about the acronym DUMBO which I had no idea what it meant when I first saw it.